International Yoga Day was observed on 21.06.2018. The Rotary club of Madras East in association with Isha Yoga did Yoga demonstration. 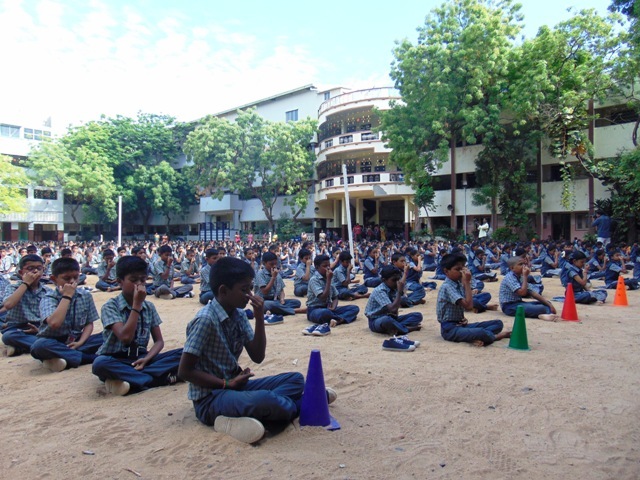 5 volunteers from Isha Yoga demonstrated Yoga and VI to XII std students performed yoga. Apart from this some of our school students and teachers went to nearby schools viz Bhuvaneshwari School, Padi, Indira Nursery school, Villiwakkam, Padma Sarangapani matriculation school, Villiwakkam and Sri Venkateshwara School, Korattur. 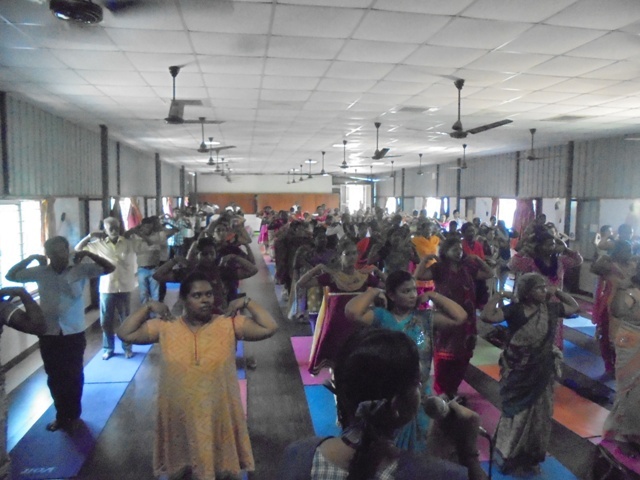 In connection with International Yoga Day the students performed 40 Minutes Yoga. The programme was initiated by our Sports Co-ordinator-Sri. S. Jegathalaprathaban. All our teachers, 20 Alumni and 250 Parents also actively participated in this programme. On account of International Yoga Day some of our teachers visited the neighbouring six schools on 21.06.2017. Yogasanas were demonstrated by our XI Std. Students in those schools. Those school students were also made to perform Yogasanas. 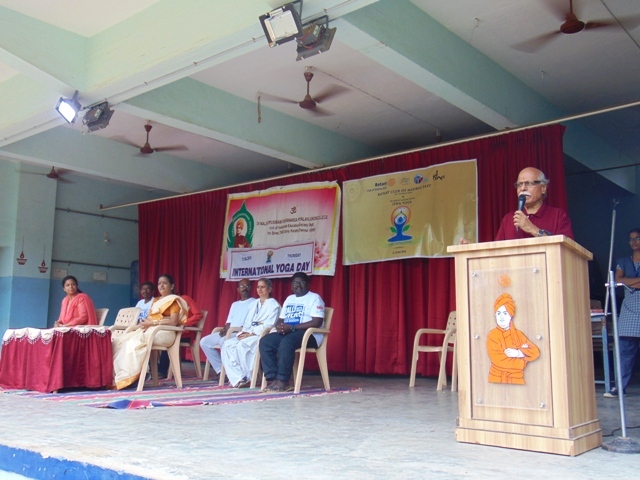 The teachers rendered speech regarding the significance of the day and the importance of Yogasanas.